SharePoint continues to be the prominent application within the collaboration software industry. But due to its flexibility of deployment, storage of critical business assets and diverse user base, security risks are a real concern. 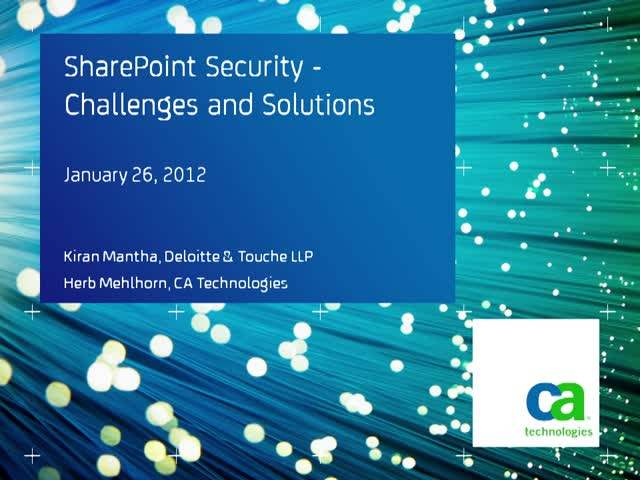 During this session Deloitte and CA Technologies will discuss the challenges that customers are faced with when deploying large complex SharePoint environments, as well as best practices and solutions available to overcome these challenges.